The winners are: Kyle Mazlik and Matthew Alden. Please email us at batteryinfo@braves.com to claim your prize. ELIGIBILITY:NO PURCHASE NECESSARY to enter or to win. 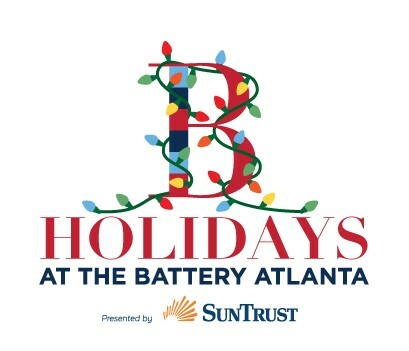 The Battery Atlanta Holiday Instagram Giveaway (the “Giveaway”) is open to legal residents of Georgia who are eighteen (18) years of age or older at the time of entry. 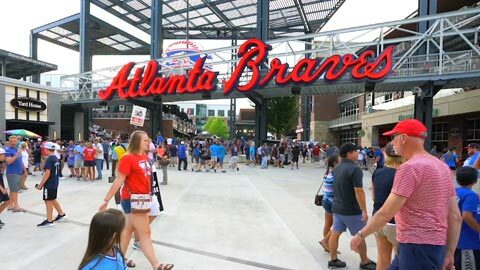 Employees and their immediate families (spouses, siblings, children, household members and the spouses and children of the foregoing) of Braves Development Company, LLC (“Sponsor”), Atlanta National League Baseball Club, Inc., Instagram, Live Nation Entertainment, Inc., and their respective parents, subsidiaries and affiliated entities (collectively the "Giveaway Entities") are not eligible to enter the Giveaway. By entering the Giveaway, entrants agree to abide by all terms of the Official Rules and Regulations applicable thereto. Subject to all local, state and federal laws and regulations. Some restrictions apply. Void wherever prohibited or restricted by law. HOW TO ENTER: The Giveaway begins on December 15, 2018 at 12:00 a.m. Eastern Time (“ET”) and ends on December 19, 2018 at 11:30 p.m. ET (“Giveaway Period”). 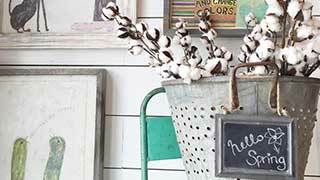 You may enter the Giveaway by online method only. No other method of entry will be accepted. Limit one (1) Instagram post (which post may include one or more photos) per Instagram account. Additional entries beyond the specified limit will be void. During the Giveaway Period, post a photo(s) on Instagram of your 2018 holiday experiences at The Battery Atlanta using #holidaysbatteryatl. By successfully posting your photo(s), you will be entered in the Giveaway. Message and data rates may apply. Sponsor is not responsible for unsuccessful or late posts. False or deceptive entries or acts will render entrant’s entry ineligible. No mechanical reproductions or facsimiles accepted. Sponsor reserves the right in its sole discretion, to cancel or modify the Giveaway should any computer virus, malfunction or other cause beyond its control corrupt the administration, security or proper operation of the Giveaway. HOW TO WIN: Two (2) Winners (“Winners”) will be selected at approximately 12:00 p.m. 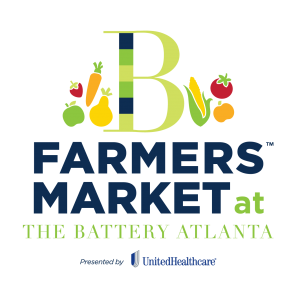 ET on December 20, 2018, by Sponsor representatives from among all the eligible entries received and Winners will be tagged by @batteryatl. The decisions of Sponsor will be final and binding. The winners must meet all eligibility requirements including the execution and delivery of all necessary releases. PRIZES: Two (2) Prizes will be awarded. Each Winner will receive two (2) tickets for one of the following: PRIZE 1: ATL Collective’s Funky Christmas show at Buckhead Theatre on Friday, December 21, 2018 having an approximate market value (“AMV”) of Fifty Dollars ($50.00); or PRIZE 2: The Roots concert at the Coca-Cola Roxy on Monday, December 31, 2018 having an AMV of One Hundred Thirty Dollars ($130.00). The Prizes will be available for pick-up by Winners three (3) hours prior to the beginning of each event at the Coca-Cola Roxy will-call office. The odds of winning any of the Prizes described herein will be determined by the number of eligible entries received. Seat locations at the event shall be determined in the sole discretion of Sponsor. Winners’ companions must be of legal age of majority in their jurisdictions of residence (and at least eighteen (18) years of age), unless accompanied by a parent or legal guardian. 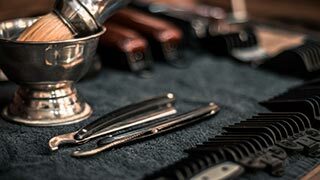 Event dates and times are determined in the sole discretion of the Sponsor, as applicable, and may be subject to change. 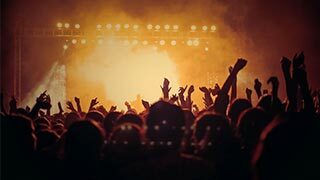 The terms and conditions of the tickets awarded as part of any Prize will govern in the event that an event is cancelled, rescheduled or delayed due to weather conditions, an act of God, an act of terrorism, civil disturbance or any other reason. Each Winner and his/her guest(s) agree to comply with all applicable Sponsor regulations in connection with the Prizes. Sponsor reserves the right to remove or to deny entry to any Winner and/or his/her guest(s) who engage(s) in a disruptive manner, or with intent to annoy, abuse, threaten or harass any other person at the event. Giveaway Entities will not be responsible for weather conditions, Acts of God, acts of terrorism, civil disturbances, work stoppage or any other natural disaster outside their control that may cause the cancellation or postponement of any event. Prizes may not be resold or offered for resale. Any such resale may result in disqualification and Prize forfeiture and may invalidate the license granted by the event ticket(s). The reporting and payment of any tax liabilities incurred by the entrant as a result of this Giveaway and any prize won are the sole responsibility of the entrant. No substitution or transfer of prize or cash redemptions permitted by winner. The Giveaway Entities reserve the right to substitute a prize of like value in the event the described prizes, or any portion thereof, are unavailable for any reason whatsoever. All prizes will be awarded. GENERAL RULES AND REGULATIONS: By entering the Giveaway, participants grant Sponsor the right, unless prohibited by law, to use their names, voices, pictures and likenesses, without compensation, for the purpose of advertising and publicizing the goods and services of the Sponsor and all matters related to the Giveaway in any manner or medium, throughout the world in perpetuity. Winner(s) may each be required to sign affidavits of eligibility, tax acknowledgement forms, liability releases and, except where prohibited by law, use of name and likeness releases (“Winner Documents”). In the event a winner declines the prize or fails to return completed releases, Sponsor may elect, at its own discretion, to select an alternate winner. By entering, entrants agree to release the Giveaway Entities from any and all liability claims or actions of any kind whatsoever for injuries, damages or losses to persons and property which may be sustained in connection with the receipt, ownership or use of the prize, or while preparing for, participating in, and/or traveling to any Giveaway or prize-related activity. The Giveaway Entities expressly disclaim any responsibility or liability for injury or loss to any person or property relating to the delivery and/or subsequent use of the prize awarded. In the event more winner notifications are issued, or more winning prize claims are received, than the number of prizes set forth in these Official Rules due to computer, printing, seeding, human, or other error or problem, a random drawing will take place from all eligible prize claims for the prize(s) at issue to award the proper number of prizes as set forth in these Official Rules. In the event of sabotage, acts of God, computer virus or other events or causes beyond the Sponsor’s or Giveaway Entities’ reasonable control which corrupt the integrity, administration, security or proper operation of the Giveaway, Sponsor reserves the right to cancel or suspend the Giveaway. In the event of cancellation, prizes will be awarded from among all eligible, non-suspect entries received prior to the event requiring such cancellation. Notice of cancellation will be posted at www.batteryatl.com. CONSTRUCTION: All issues and questions concerning the construction, validity, interpretation and enforceability of these Official Rules, or the rights and obligations of any Giveaway entrant and Giveaway Entities, shall be governed by, and construed in accordance with the laws of Georgia. In any action brought to enforce the obligation or right of any party hereunder they consent to personal jurisdiction and venue in any court of appropriate jurisdiction in Cobb County, Georgia, USA. 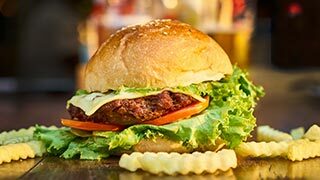 The invalidity or unenforceability of any provision of these rules shall not affect the validity or enforceability of any other provision. This Giveaway is in no way sponsored, endorsed or administered by or associated with, Instagram. 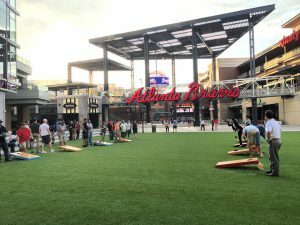 RULES/WINNERS INFORMATION: For Winner information (available after December 20, 2018) or an additional copy of the Official Rules, go to batteryatl.com to view Giveaway Winners. SPONSOR: Braves Development Company, LLC, 800 Battery Avenue SE, Suite 130, Atlanta, Georgia 30339.